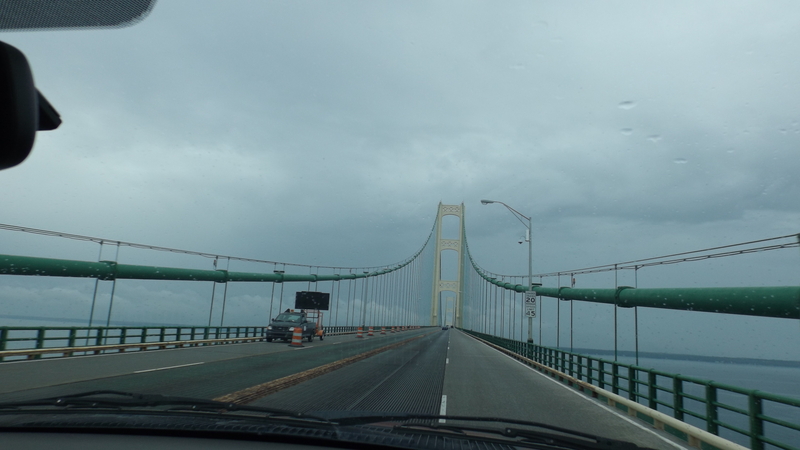 We survived the crossing of the long and narrow Mackinac Bridge and passed up a third rate city park to enjoy the panache and rolled-back prices of the Alpena WalMart. The next day we left early in route for the Saganing Chippewa casino in Standish, Michigan. 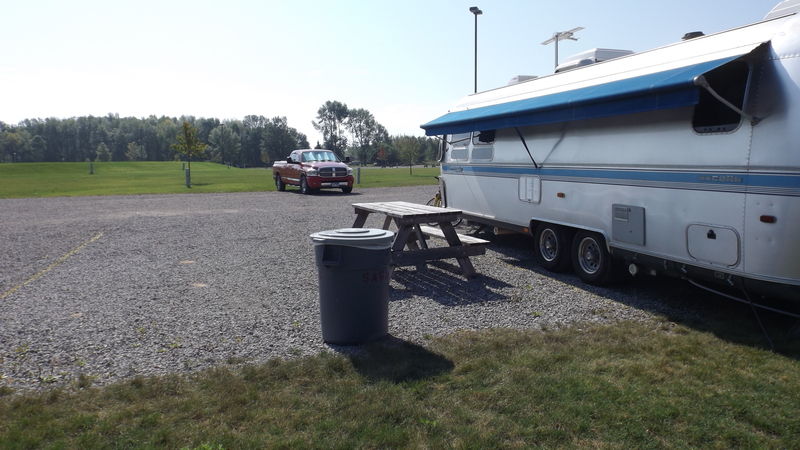 Their RV park was hard to find, what with the misplaced signage and its total lack of attendance, but with help we eventually landed there. It Only Looks Narrow If You’re Driving. I have wanted to write about Indian casinos but one needs to see several gaming houses to make generalizations about them. I had a vague idea that the casinos were a Jobs Act for people who have a hard time finding jobs, but that may not be the case. We have now played and stayed in five of them, and thus far have seen exactly two casino employees who appear to be of native American descent. It is possible that unseen tribal people work the security cameras, cook the meals, run the marketing department, and do all the casino accounting, and some others who we’ve seen working in casinos have blonde mothers and can easily “pass”. But that’s not the way I’d bet: all but the last are specialized skills acquired by employment off the reservation. Like The Oracle of Delphi, if you ask the right questions The Google knows everything . The Google told me that last year’s payout to each adult tribe member was $17,000. That is not all that much, unless you had become accustomed to living on food stamps in reservation housing up until the casino opened in 2006. Perhaps the tribal elders figure the way to maximize profits is to hire whites. Perhaps their management company convinced them of that. At any rate, that’s what they do. I would really enjoy having Marilyn Whirlwind deal blackjack at my table. I don’t play Three Card Poker, but if Ed Chigliak dealt the cards, I would damn well try it. And if One Who Waits ran the craps table, I’d learn the game just to be around him. The natives are missing something here, but I’ve been wrong before. Way too many times. And Ed, Marilyn, and One were fictional characters: yeah, I’m wrong again.